In the first month of 2018 we commemorated the first anniversary of a tragic event in Nigeria. We also took time to celebrate the major achievement of one of our hospitals in Iraq. With the help of three-wheeled vehicles we are innovating the way we reach patients. Finally, we show how we care for our teams who have had difficult experiences working overseas. Babagana Jugunu was injured when the Nigerian military bombed a displacement camp in Rann, Nigeria, in January 2017. At least 170 people were injured and 90 killed in the airstrike, including nine members of Babagana's family. 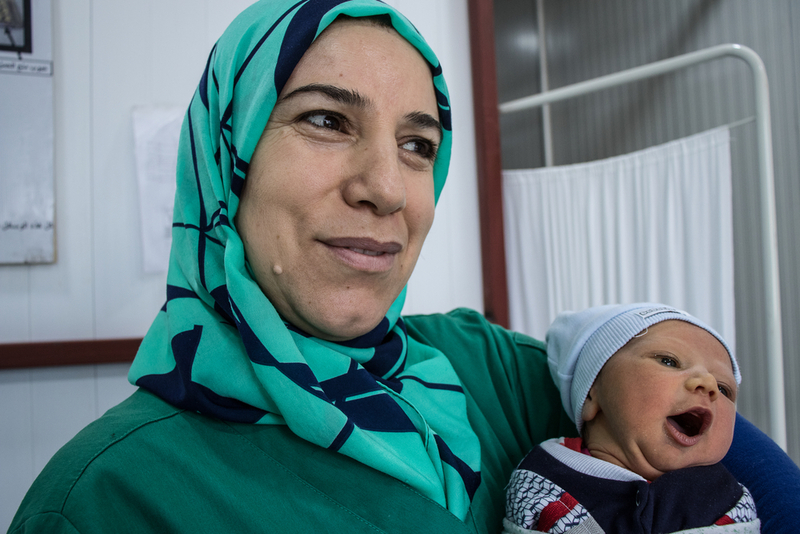 Over the last four years, MSF midwives like Abla Ali have helped deliver 3,400 babies in Domiz Refugee Camp, northern Iraq. From a series of tents in 2013 to a full maternity unit with a 24-hour delivery room, triage and gynaecological consultations, we have now handed the unit over to the Dohuk Directorate of Health. Around the world, three-wheelers offer a cheap means of urban transport. But in Gwoza, northeast Nigeria, the small three-wheeled vehicles known locally as keke napeps are also helping to save lives. Keke napeps are lightweight, low-cost, easy to manoeuvre and aren't viewed as a threat by the military, who have placed movement restrictions on larger vehicles. It's not uncommon for our staff to have upsetting or disturbing experiences while working abroad. We provide mental healthcare to staff before, during and after they go overseas to help them prevent burnout and deal with trauma.